Whether your child has been certain he wants to swim in college since he was young, or he is still vacillating on the decision, the question always arises: when should we begin the research to swim in college? It is never too early to begin discussing colleges and swim programs at an overview level. Well, maybe elementary school is too early – at that point, most kids are still rooting for the hometown team and dreaming of competing there! By late middle school, it is appropriate to encourage your child to think about different colleges and what he might want in a college – as a casual and infrequent conversation. As a freshman in high school, conversations should become a bit more in-depth, but still center on generalities, such as location, climate, possible programs of study, and distance from home. Even if your swimmer is planning to swim in college, most freshmen cannot predict where they will fit into a program time-wise yet as many are still growing and getting faster. If you are on vacation out of town, try to swing by and see any college campuses that are nearby or on the way. This can prompt discussions, such as how your child feels about a campus in the middle of a large city vs. one in the middle of corn fields. There are, of course, many options between these two extremes! As your swimmer enters sophomore year, it is time to get more serious. The general discussions are still important, as well as thinking about where he wants to fit into a program in terms of being the fastest on the team and setting school records, not making the travel team his first year or somewhere in-between. Most kids have a pretty good idea about where they want to fit – they might find it very exciting to see their name on the record board as a freshman or they might know they will not train their hardest without faster swimmers to push them during practice. This is a very individual decision that only the swimmer can make. It is also a good time for your swimmer to begin reaching out to college coaches and introducing himself. Review the NCAA Rules and Calendar for what to expect in terms of when and how coaches can respond depending on their school. If you are touring colleges, be sure to drop by the pool to see the facilities. Depending on the division, coaches may not be able to respond to emails or phone calls from your child or to talk to him if you are visiting campus. Make sure your child has a few questions in mind to ask if you do encounter a coach in a division that permits contact with sophomores. By junior year, the search is becoming more intense. Students should have a good idea of the type of college they prefer as well as some idea of their academic goal. They are still kids, though, so all decisions are made knowing they may change the next week! If you and your swimmer did not begin researching programs as a sophomore, it is not too late to do so as a junior but you need to get busy. You can figure out where your swimmer fits in a particular program by looking at the times required to score in conference meets then looking at which schools are in that conference. This is where your swimmer’s feelings about being a big fish in a small pond and vice versa come into play. If your swimmer can already score in the A final at conference champs but she wants to train with swimmers who are faster to push her, she should look at a faster conference. Conversely, if she wants to be on the podium at conference champs, she should not be looking at conferences where she would place 49th with her current times. During junior year, you should take as many college tours as fit into your schedule and budget to give your swimmer an idea of options. When you visit schools, be sure to check out the pool and see if you can meet with a coach. Coaches in all divisions are allowed to talk to swimmers visiting colleges by junior year. Coaches may not be able to call swimmers, depending on the division, but all can return emails by junior year. Your swimmer should be emailing back and forth with coaches at programs that interest him. Official recruiting visits can take place during junior year and come coaches will offer them, while others will wait until senior year. Senior year is usually filled with official recruiting visits (at schools that offer them), phone conversations with coaches, and further narrowing down which schools are a good fit. When possible, it is important for your swimmer to meet potential teammates at programs he is considering to see if he clicks with the team. Evaluating offers along with the academic programs at schools is the last step before making a final decision. The process can seem overwhelming at times, but it can be accomplished by approaching it in an organized manner and allowing enough time to research colleges and swim programs. College Swimming Guide helps with the research to swim in college with spreadsheets of times required to score in each conference and by college, sample emails to send to coaches, questions to ask coaches, guidance to help organize the process and answers to your questions. Membership is good for your swimmer’s entire high school career to there is no need to wait. 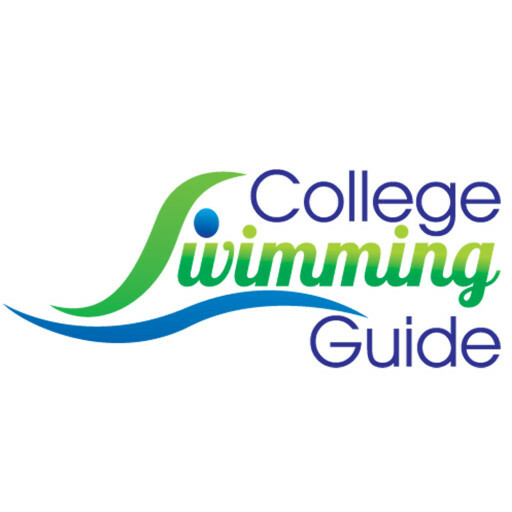 There are also many free resources on www.collegeswimmingguide.com like the NCAA Rules Summary and Calendar and blogs with questions for coaches, things to consider about colleges and more. Knowing what you’re doing in advance and having a knowledgeable resource as a guide and to answer questions will make your journey a better and more successful experience. Michelle Lombana is committed to helping parents like her whose children want to swim in college. When she’s not researching information about swimming in college, she can be found at www.collegeswimmingguide.com.